Over the years, the Laird has watched, listened, and very occasionally, contributed to discussions on superannuation in NZ. The following remarks are based on living and working in the U.K., Australia, and New Zealand as a tax-paying private citizen in all three countries and similarly as a member of the financial services industry in all three locations. From the private citizens perspective, NZ scores as the most under-developed and primitive environment for private retirement benefit funding. The path embarked upon following Rogernomics and the Todd Task Force Report was disastrous. The intent of successive Governments in the U.K. and Australia was to shift the responsibility and liability for the provision of retirement income from the State to private enterprise. In this regard, the Brits have been moderately successful. From the early days of 1956 when the self-employed could contribute to private funds from pre-tax income, to the Income and Corporation Taxes Act of 1970, when companies were allowed to fund future retirement benefits for Controlling Directors, the U.K. Pension system - with all its imperfections and occasional mis-selling scandals - has created a significant segment of the population living in retirement with little or no dependency on the State. As an industry practitioner, and as a member/director of a self-administered pension fund, I can testify to the effectiveness of the measures undertaken by a series of British governments to recognise the need to have private industry contribute to the exercise. By no means perfect, and with many anomalies and paradoxes, the U.K. pension system has occasionally been used as the proverbial 'political football', but at least there is a system which strives to achieve reduced state dependency. The Australians have been very much more successful as is witnessed by the value of funds currently sitting in private pooled investment funds. The essential difference between the personal wealth of Australians and that of New Zealanders is the presence of privately owned superannuation investments. If the current NZ government is serious about trying to narrow the wealth gap, then a more aggressive approach to private superannuation funding is required. From a taxpayer's perspective in Australia, stashing significant sums of money away into private managed funds for future retirement purposes is a no-brainer. Defer the jam today and enjoy even more jam tomorrow (G.F.C. permitting, of course!). The rules and regulations may seem impossibly complicated from a New Zealand stand-point, but again, having spent 5 years in Oz, and again having been an active participant in the superannuation funding system, the Aussies have achieved a significant reduction on State dependency for their citizens. In fact, the rules for any such system are complex, but Australia is no worse than any other I've experienced. From time to time, views are expressed about incentivising superannuation contributions in Aotearoa, about New Zealanders preference not to 'lock-in' superannuation funds, and generally focusing on the economic aspects of the issue. While the economic considerations are vital to the sustainability of any scheme, they are not the only factors to be taken into account. Like it or not, there are factors of political reality - we still live in a democratic country, after all - and social issues to be considered. So while some academics, theorists, and other 'pointy-heads' may advance counter-arguments, the fact is that creating incentives as trade- offs against inaccessibility is effective. There may be other forms of saving which are similar- for the Bach or the Beemer, but the very fact that these funds can be accessed prior to retirement age, defines their non-super status. 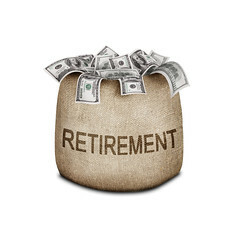 By definition, retirement benefit funding is exclusively available once the individual has reached a retirement age (sorry, Mr Key this simply has to be raised), and is no longer actively pursuing gainful employment. Furthermore to make retirement income tax-free is lunacy. With a growing percentage of the populations in the U.K., Australia, and NZ living longer in retirement, the exempt status accorded under the TTE equation is simply crazy. The current so-called 'hardship provisions' under Kiwisaver are likewise just nuts. The Australians are intent upon raising the contribution rate for super funding, and if the Government wishes to see NZ make inroads into matching the A$1 trillion + accumulated for retirement income across the ditch, some more commercial and realistic thinking needs to be brought to the table. Of course, this is only the Laird's opinion devised from travels to other places - happy to contemplate input from others.